The development of the new 2011 Porsche 911 GT3 Grand-Am Rolex Cup car, available for the first time since 2009, has been a unique collaboration between Porsche engineers at the factory in Germany (Porsche AG) and the technical experts at Porsche Motorsport North America (PMNA). The objective was to create a competitive new Rolex car that provides longevity, versatility and a degree of flexibility for the customers planning to compete in the GRAND-AM Rolex Sports Car Series. This car has some significant improvements compared to its predecessor, the 2009 Grand-Am Rolex Cup car, such as fully adjustable suspension to optimize handling and tire wear. The brake system was upgraded and includes an endurance brake cooling package for long-distance races. Furthermore, the exhaust system received a substantial weight reduction. For the first time since inception of the Rolex Cup car (starting with Model Year 2007), the actual conversion of these Cup cars to Grand-Am Rolex specifications was done by PMNA’s technicians in Santa Ana. The following teams have purchased the six cars that were shipped to California for the Rolex Series conversion: TRG, TRG/Steven Bertheau, TRG/Black Swan Racing, Brumos Racing, Magnus Racing, and Muehlner Motorsport. They will take delivery of their vehicles approx. one week before the scheduled Grand-Am tire test at Homestead scheduled for December 1 and 2. “During this entire year Porsche has made an extra effort to come up with a top-of-the-line version of a Rolex Cup car at a competitive price. We thoroughly listened to the requests and concerns expressed by our teams in order to help them get back into the Grand-Am Rolex GT series with a terrific new product. Despite some of the challenges that had to be overcome during the development phase, we were able to produce a fascinating race car. Needless to say, we are very thankful to our teams for their trust in us as well as their loyalty to thePorsche brand and the Rolex Series. We anticipate an exciting 2011 racing season,” said Jens Walther, President of PMNA. The Porsche 911 is the most accomplished race car ever at the Rolex 24 with 38 combined class and overall wins, with Porsche having scored 22 overall wins at the January classic since its inception in 1962. 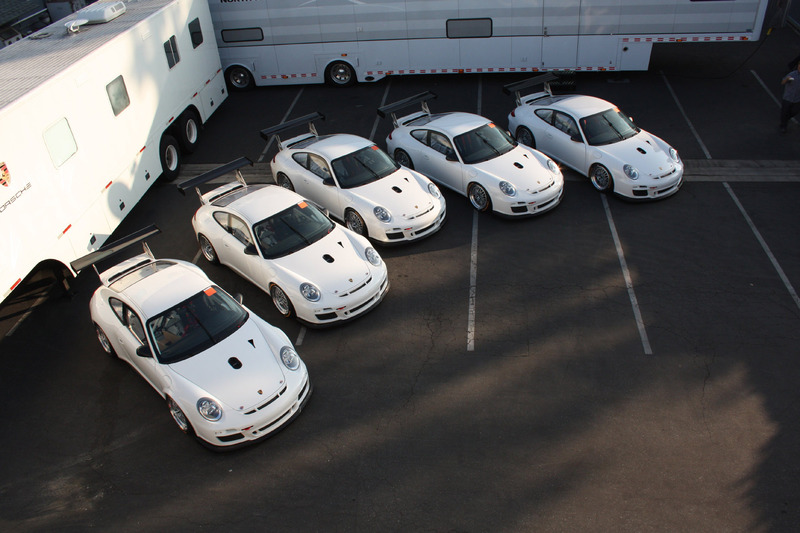 Since the Porsche 911 GT3 Cup has been the Porsche standard- bearer in GT (2005), it is the most successful GT car, leading the Grand-Am competitors in championships, victories, pole positions and podium finishes.